Hello everyone! It’s been like 100 years since I last posted a review about a mystery game 😆 so I decided to write one about The Darkside Detective, an indie Steam game available for Windows, Mac and Linux. The game was so well received that it even got funded on kickstarter for a second season (the first season was funded on kickstarter too)!! Woo!! Without further ado, let’s begin!!! NOTE: This review contains mild spoilers so read at your own risk. If you want to avoid them, though, just jump to “conclusive thoughts”. After years of not hearing anything about Taisuke Kanasaki (director of Another Code and Hotel Dusk) I was very excited to come upon his new game being sold at the Nintendo eshop. Sadly, it’s not what I expected. At all. And this review will tell you why it was so disappointing. Cold Case is a unit in the police department in charge of, if you’ll forgive the repetition, cases that have gone cold. This means, old cases that were closed yet, for some reason, have the need to be reopened. Our two main characters, the detectives if you will, are Shounosuke Nanase and his assistant Koto Amekura. They suddenly receive a suspicious phone call saying that the explosion that took place five years ago in a hospital, were only one person died, was not an accident but murder. What will the detectives do? NOTE: This review contains mild spoilers so read at your own risk. If you want to avoid them, though, just jump to “conclusive thoughts”. Still, I don’t really recommend this game so, if you don’t mind, be my guest to read why I think so…but be warned that it contains a bit of “strong language” if you will 😆 and that this is only my personal opinion. I was actually thinking about my first mystery game review being of Ace Attorney but I finally decided to choose Shinrai, a game that was recently released. I won a copy of it together with the OST and was very happy about it, I very rarely win stuff so it was awesome and am very grateful; thank you GosatsuVNs! Anywho, let’s get on with it, shall we? Shinrai takes place in a secluded mountain resort, where a group of ten classmates reunite to celebrate a Halloween party. The protagonist is Raiko, a quiet and reserved girl who was somehow forced to go to the party because of her best friend, Nobara, who’s a real scaredy cat. When they arrive at the resort, they chat a little with their classmates and start enjoying (sort of 😆 ) the party. However, at a certain point in time, one of the party’s attendants is found dead. Will Raiko solve the mystery? Note: This review contains HUGE spoilers (culprit is revealed!) so read at your own risk. If you want to avoid them, though, just jump to “conclusive thoughts”. So, after some pondering of what should my first post be about, I decided to dedicate it to the wonderful world of Pacthesis’ games. For those who don’t know who she is, Pacthesis (aka Amy) is the creator of several flash sim dates in Deviantart (most of them made when she was in High School!). But right now, understandably, she is busy with life and has been on a hiatus for almost two years. 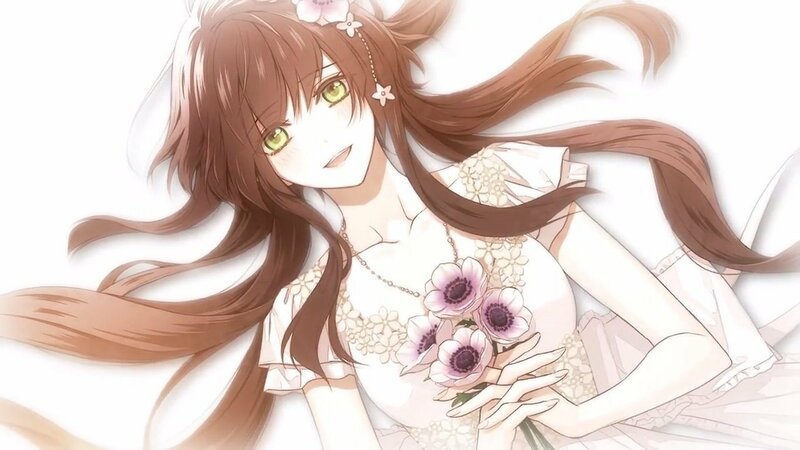 If she ever comes back and starts making games commercially, my wallet and I will be ready to buy her stuff, since it’s thanks to her that I got into otome games in the first place. Pacthesis’ games are a perfect example of how art can improve over time and how, to my mind, STORY REIGNS ABOVE ALL. Note: This review contains very mild spoilers but if you still want to avoid them just jump to “conclusive thoughts”.